BCT promotes the sale of the full package of own and Wengfu's Technologies! Cooperation Agreement between Buss ChemTech AG and Wengfu (Group) Co. LTD. In December 2005, Buss ChemTech AG signed a contract with Wengfu (Group) Co. LTD. for the design and construction of a 20'000 MTPY AHF plant. Raw material for this technology is FSA (fluorosilicic acid, H2SiF6) which is a waste stream in the phosphoric acid and superphosphate industry. The HF technology is a combination of our know-how with that of Luvena S.A., our Polish partner who have operated a corresponding plant with low capacity in Lubon, Poland. The plant is the first industrial sized plant in the world. No other company operates this kind of technology at industrial size. At the start-up of the plant Wengfu was confronted by two major problems. China experienced one of the hardest winters for many years with much snow and ice in this region of China. The plant was not specified for such severe conditions and suffered accordingly. The second problem was the necessity to improve and replace local manufactured equipment and materials which did not meet our design and operation conditions for the plant. Although not all problems with equipment have been solved as yet, we can say that the plant is operating over 90% of the available time at 100% capacity and is producing good quality product. The AHF product is sold presently inside China. 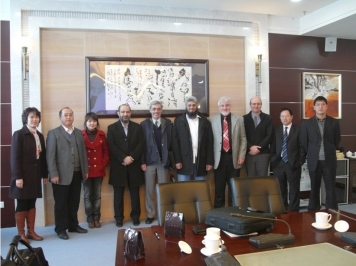 BCT and Wengfu have signed a cooperation agreement in February 2010. Target is to combine our technology and additional technologies developed by Wengfu and to promote and market the total package on a worldwide basis under the lead of BCT. 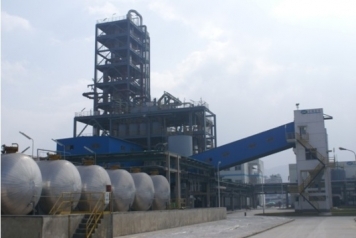 A number of Phosphate fertilizer producers have been waiting to hear about the plant's performance and show strong interest to build this type of technology. The first customer has already visited the plant. At the moment discussions are in progress with several phosphate fertilizer companies who wish to buy this technology.